Maybe you need workouts you can do at home, or workouts you can do in facilities with minimum equipment. Perhaps you just want a new strength training program that uses dumbbells exclusively. Regardless of what resistance training tool you use, you must put it to use correctly if you want to reap the greatest possible results. Do those few mandatory things and you're going to get results. You can figure the details out on your own, or you can use an easy-to-understand, done-for-you dumbbell guide that gives you everything you need to build a better body. You only need a variety of dumbbells of varying weights (or a set of adjustable dumbbells) and an adjustable weight bench for the strength training workouts provided in the Dumbbell Strength Training Guide. 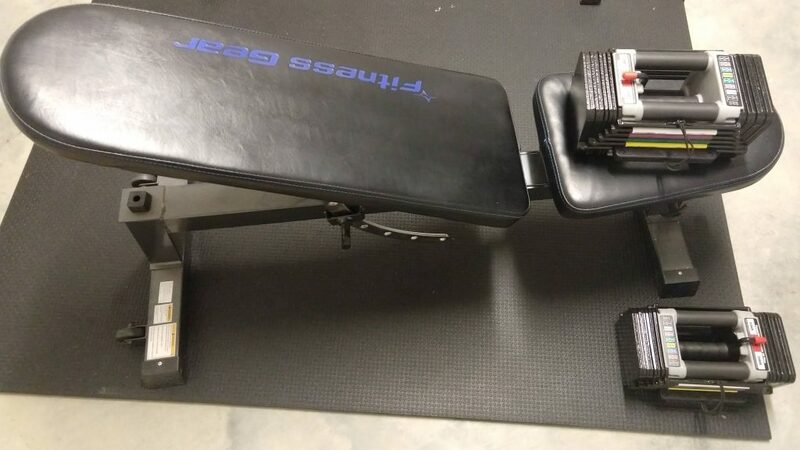 The dumbbell workouts exclusively use an adjustable weight bench and either adjustable dumbbells (pictured here) or a variety of weights of regular dumbbells. Get stronger and start building a better body with the dumbbell workouts. Are you new to strength training or has is been a month or longer since you’ve worked out consistently? You will begin with the Introduction Phase. This two-week phase introduces you to, or eases you back into, strength training so you don’t get too sore. The Introduction Phase is instrumental in learning correct exercise technique too. Included with the Introduction Phase is a clean, easy-to-use printable workout log. This program is divided into two separate four-week phases. Get stronger and build a toned body with three total body workouts per week. All it takes is a variety of dumbbells of varying weights (or an adjustable dumbbell set) and an adjustable weight bench. The 8-week program includes printable workout logs for Phase 1 and Phase 2, so you’ll know exactly how to progress every single week of the program. This program is not for beginners! It can be performed once you complete the 8-Week Dumbbell Strength Training Program or if you’re an experienced strength trainee who is currently involved in strength training. The 4-week program revolves around three total body workouts per week and they can be completed in as little as 20-30 minutes. The 4-Week Time-Crunch Program includes printable workout logs so you know exactly what to do and how to progress every week. These aren’t your ordinary five-second how-to videos. You’ll see exactly how every exercise should look when performed correctly -- that is followed up with an explanation and important coaching cues to make sure you perform every exercise correctly, so you can achieve the greatest results possible. The simple, easy-to-use printable workout logs let you neatly keep track of your performance from week to week. This way you see what you did, and what you must to do improve your performance. No Confusion. No Guesswork Required. How do you progress each week? How many sets and reps should you perform? How long should you rest between sets and exercises? What if you're not entirely sure what all that stuff means? A lot of programs leave the details up to you. But with the Dumbbell Strength Training Guide you'll be told exactly how to progress, every single week, along with anything else you need to know. You have enough going on in your life; the last thing you need to worry about are the details of your workouts. My goal is to make sure you know exactly what to do so you can perform the first workout today, with confidence. You’ll see clear examples and easy-to-understand explanations for all strength training techniques, warm-up sequences, and progressions. 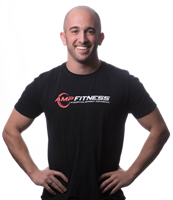 This section goes on to explain, simply and clearly, what each element of the workout means so you can perform the workouts confidently and correctly, without any unnecessary guesswork on your part. The last thing you need is to wonder What the heck does all of this mean? with a strength training program. You'll confidently know how to do everything correctly so you achieve the best possible results. You must have a variety of dumbbells (you need a variety of weights) or an adjustable dumbbell set and an adjustable weight bench. Please note this program is NOT appropriate if you just have a couple different dumbbell sizes, like a set of 5- and 10-pound dumbbells. You need a good variety of increasing weights so you can use progressively heavier dumbbells over the course of the programs. Is this right for beginners? If you are new to strength training, you can definitely use the Dumbbell Strength Training Guide. You will begin with the two-week Introduction Phase. Every exercise has a clear, easy-to-understand exercise-demonstration video and there are several visual examples and explanations that show you exactly how to perform, and progress, the workouts. Will this help me get stronger? Build muscle? Lose fat? The workout programs in the Dumbbell Strength Training Guide are designed with progressive overload built into each week of the program to ensure you get results. If you perform the workouts as written, consistently, you will get stronger and build muscle. You can also lose fat as long as you follow appropriate nutrition guidelines to support that goal. That depends on which program you perform in the Dumbbell Strength Training Guide. The workouts in the 8-Week Dumbbell Strength Training Program take about 30-50 minutes to complete. The 4-Week Time-Crunch workouts take 20-30 minutes. How many workouts per week will I have to perform? Just three total body workouts, ideally on nonconsecutive days. This applies to the 8-Week Dumbbell Strength Training Program and the 4-Week Time-Crunch Program. Why do the workouts just use dumbbells and an adjustable weight bench? This dumbbell guide was created for those who work out at home and have either a rack of dumbbells or an adjustable dumbbell set and an adjustable weight bench. It’s also perfect for those who work out at gyms with very limited equipment, hotel facilities, or those who want to stick with dumbbell exercises. One-time payment. You will NOT be billed again. 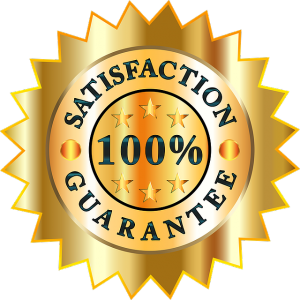 Get Instant Access Your satisfaction is guaranteed. Click the button above and proceed through the fast, secure checkout. After purchase you'll receive immediate access to the Dumbbell Strength Training Guide. You'll also receive a receipt via email in case you aren't ready to view the file immediately after purchase. You can certainly create your own dumbbell workouts or find some free workouts online and figure out how to progress each week on your own, and hope you're doing the exercises correctly. Or you can let me do all the work for you and hand you an easy-to-use and understand guide that includes done-for-you workouts. Not to mention, you'll get workout logs, clear explanations for how to warm-up for the exercises and how to progress every week thus ensuring you achieve great results, and every exercise has its own demonstration video. You won't find a better deal for less than $40 that includes a satisfaction guarantee. 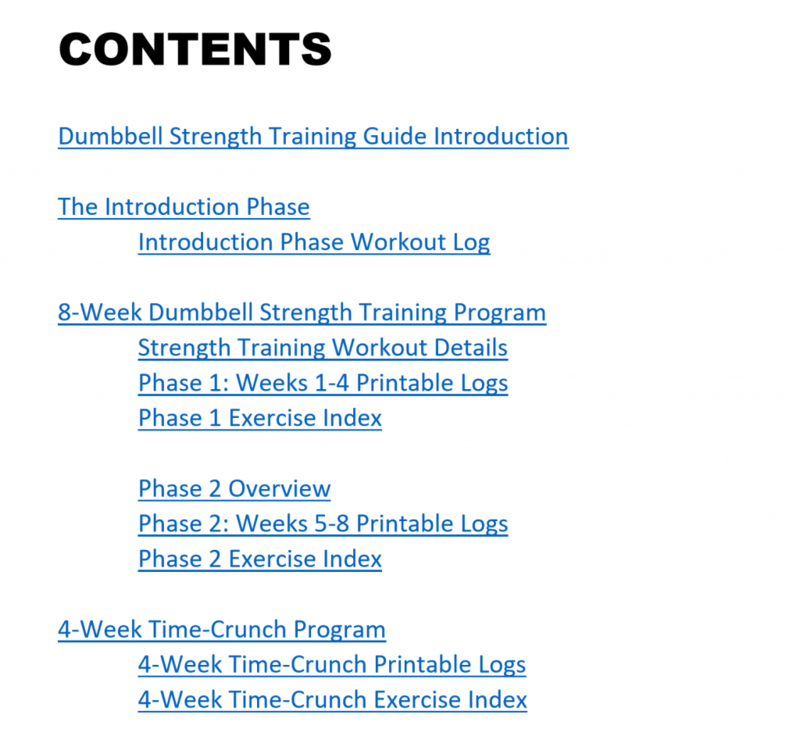 The Dumbbell Strength Training Guide is in PDF format -- you will receive immediate access after purchase. The exercise-demonstration videos are privately hosted on YouTube, so you don’t have to waste storage space on your device(s). You will access them with a single click within the respective Exercise Index. "Nia Shanks is a diamond in the rough in the strength and conditioning field. Her programs are reasonable, sustainable, and highly effective. Way too many fitness professionals promote training methods that are too harsh and demanding, and this just leads to burnout, injury, and problems. Nia gets it just right and communicates the message with finesse. I vouch for Nia Shanks--she's the real deal." "Nia Shanks is one of the top fitness pros in the field today. I've always been impressed with her combination of scientific knowledge and practical application of exercise training. She epitomizes what an evidence-based practitioner should be; that's the highest compliment I can give to a fitness professional." "Nia Shanks is one of the best coaches I know. What I appreciate about her the most is her insatiable desire to help people, to put their needs before hers, and to be adaptable when necessary. She's not someone who allows her ego to get in the way, and she is more than willing to temper her coaching style to that of the abilities of the person she's working with. She's one of most selfless coaches I have ever had the honor of calling a colleague and friend." 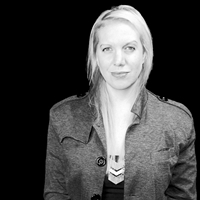 "I highly recommend Nia Shanks to my coaching clients and community members. 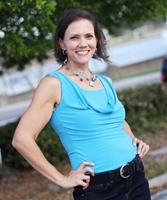 Her no-nonsense approach to nutrition and fitness is exactly what the overwhelmed dieter and fitness enthusiast needs. I find her sane and precise approach gives great results for those wanting to live a healthy lifestyle." "For more than a decade Nia Shanks has been educating and empowering women through high-quality, no-nonsense strength training and nutrition information. In the world of women's fitness, there's a ton of fluff and hype. Nia's straightforward, no-BS style is incredibly refreshing and relatable, and her information is rooted in both science and experience. I'm proud to call Nia my colleague and friend." "There is a quiet rumble with Nia Shanks. She subtly instills power and presence into the women she leads. Her concept of 'Lift Like a Girl' embraces the very snubbing women have received all their lives: "You hit like a girl. You throw like a girl. You...like a girl." She flipped it. She flipped that statement of ineptitude and turned it into one of power. That's a leader in the industry. That's why I never hesitate to send people her way." "Nia is one of the few coaches in the fitness industry who cares more about the success of her clients than she does about making a quick buck. And I don't say that lightly. Nia is truly one of the most passionate, dedicated, genuine coaches in the world, and I couldn't possibly support her and her work more than I already do. Keep up the amazing work, Nia. You're changing the industry for the better every single day."